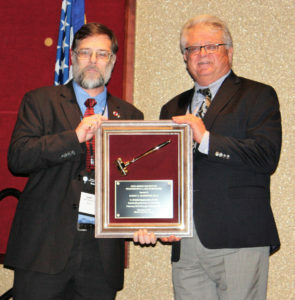 On February 2, 2017, Carl E. Peters, PLS, PE, PP became the President of the New Jersey Society of Professional Land Surveyors (NJSPLS). Peters took over from Barrry Gleissner, PLS who served the organization as president for the past two years. 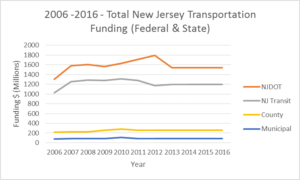 The transition occurred at SurvCon 2017, NJSPLS’s annual conference. Approximately 800 surveying professionals attended SurvCon where continuing education courses are offered over a three day period. The purpose of NJSPLS shall be to maintain and perpetuate an organization for members having common professional problems and interests, to provide effective forums for discussion and united action on the part of its members, for the enhancement and betterment of professional recognition, and for other matters of common welfare. Promoting and maintaining high standards of professional ethics and practice. Discouraging unethical and illegal practices and professional abuses in land surveying. Promoting public understanding, faith, and reliance in the land surveyors and their work. Establishing better relations between the land surveyors and other professions. NJSPLS scholarships are available for students who are pursuing a career in land surveying. Applicants must be New Jersey residents studying in a Bachelor’s or Master’s degree in Land Surveying or a related field. Some of the recent NJSPLS scholarship recipients have been full time students while others are getting their education while working full time. 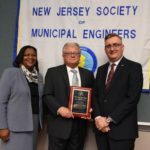 The NJ Land Surveyors organization offers these awards on an annual basis. Award recipients may continue to apply during their academic career. One of the societies current goals is to inform the public about the practice of Land Surveying and to inform young people of the opportunities for well paying careers as a Professional Land Surveyor but also as a technician performing field measurements or computer mapping services.